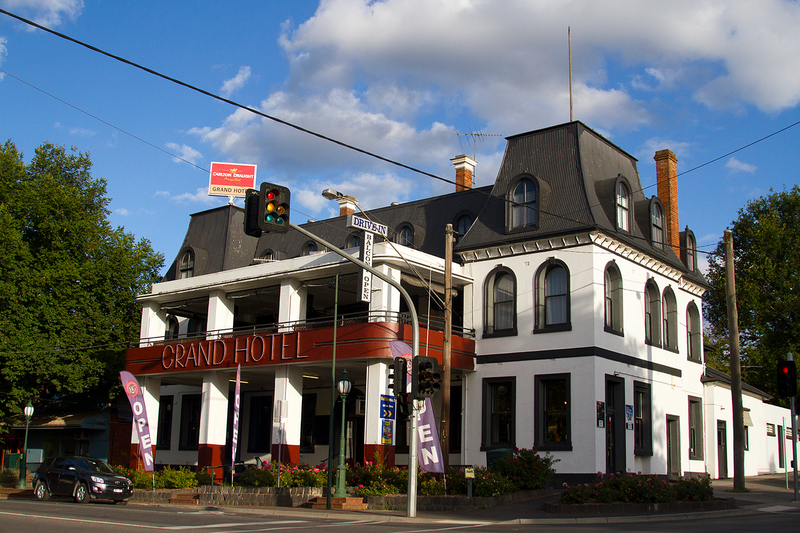 Healesville’s Grand Hotel in rural Victoria. February just flies by, doesn’t it? (Makes sense, being the shortest month of the year and all). The month went pretty all right. I had my birthday, worked a lot for the old cash monies and I went overseas! If that’s not a good month, I dunno what is. It was great to finally get unpacked after moving house, although difficult to do around work! (Funnily enough, after slogging it away all day, all I want to do is go home, put my feet up and watch Gilmore Girls). I love my new place… it’s not exactly a new flat and bits of it are falling to pieces (plus, the shower isn’t that great and I don’t have a bathtub, which makes me uncertain of how I’ll survive the winter), but it’s close to transport and shops, which makes a big difference. My last flat was in “Woop Woop” as we say in Australia and it was the bane of my otherwise pretty peaceful existence. Due to work/being away, I didn’t get as much Melbourne stuff in as I’d hoped for – but did see a double billing of Alien/Aliens at one of my favourite cinemas in the city, The Astor and more urban explorations of Yarraville! My boyfriend also surprised me with an entire day spent in the Yarra Valley (Yarra is quite popular as far as Melbourne names go, incase you couldn’t tell) for my birthday and I in return, booked a night at NOTEL in the city for his. More on that to come, later. 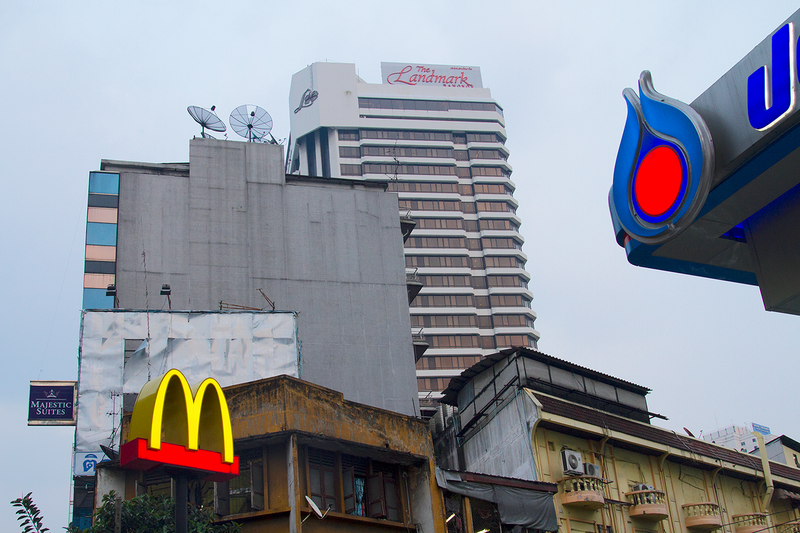 Definitely fell for grungy Sukhumvit in Bangkok. February was momentous in a way, as I finally stepped foot in a whole new region – Southeast Asia – by visiting Thailand for the first time. 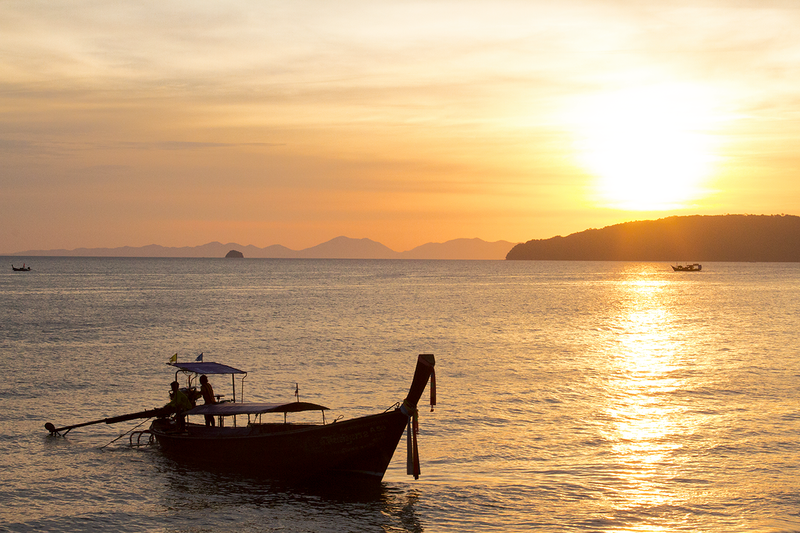 It was a bit whirlwind – in the eight days I was away I spent two travelling as I was so determined to get some beach time in on Koh Lanta. One surprising thing was Bangkok. I expected it to be just another big, bustling city, but it really is a place for weirdos and I fell hard for it. I sort of wish I’d spent all my time there now – hindsight can be a wonderful thing! I’ve spent a lot of this month trying to wrap my head around SEO. It largely makes me annoyed, but I suppose small progress is being made. I hit my monthly views goal and I’m hoping to do the same in March. As usual, I’m struggling with finding a balance between writing articles I want to write and writing stuff that will bring people onto my site (why can’t it be one and the same?!). A lot of my ideas for content are Melbourne/Australia based as well, but I don’t want to overload the site with just one destination. I’ve still got some posts from way back when I lived in Europe in the works (and from recent travels too) and I’m trying to maintain some kind of balance between the two. Either way, I think the blog might be a bit quiet over the next couple of weeks, as I’m going away before starting a new job! I’ve been waking up early in the morning to try to pump out some posts to cover this period of time. Wish me luck in this endeavour, because I so much prefer sleeping. Nothing beats reading on the beach. Holidays mean reading time (thanks to those hours of transit) and luckily, most of what I consumed was really interesting. It was hard to pick two favourites! The Seven Husbands of Evelyn Hugo was probably the most interesting read of the month. Hugo is a massive, old time movie star, ready to reveal all about her unusual life and relationships to small-time journalist Monique Grant. Yet, why has she picked Monique, of all the journalists in New York City? And what will Evelyn reveal that will make Monique not only hate her – but question everything about her own life? Hugo was such a larger than life character, that when I finished the book I had to mentally remind myself that she wasn’t actually a real person. She leapt off the pages and sucked your straight in. I’ve read a lot of comedian memoirs in my time and many have been hit and miss. The Last Black Unicorn however, is one of the best. Tiffany Haddish is side-splittingly funny and so matter of fact about her life and upbringing. I was cackling the whole way through (especially at the conversations between her and Jada Pinkett Smith. Talk about inhabiting different worlds!). Autumn is my favourite season and as such, I particularly love March. It’s going to be a busy month – I have some events around the city planned and local explorations (Williamstown, I’m coming atcha). I also start a new job (in a new part of town, so yay for that) and will be heading to Perth for the first time ever to visit a friend and to the Hunter Valley for a wedding. Phew! Please note – this article may contain affiliate links to books I’ve read and therefore recommend. Congrats and good luck for your new job!! Sounds like you had a very busy but awesome month.